A huge smile broke out across my face when I got home today. 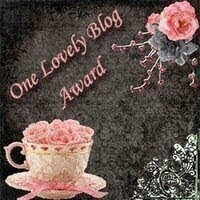 I've been awarded my very first blog award! Bethany is the craftiest gal I know, and I mean that in a wonderful way! 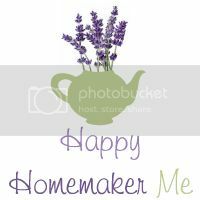 She blogs about newlywed life with her husband, inspiring crafting endeavors, yummy recipes and her entertaining recollections of various experiences as a teacher. I've been blessed to know Paris and truly look up to her as an inspiration for wholesome, Christian family living. Paris, her husband David, and their adorable son James are such a wonderful, happy little family! 1. Accept the award and acknowledge the person who bestowed it upon me. 2. Pay it forward to 15 newly discovered blogs you enjoy. I'm going to play the rules a bit differently, because I don't expect everyone I award to turn around and find 15 other blogs. It takes a lot of time, and I know that many of you are very, very busy! But I wanted to recognize you as bloggers whom I love, let you know that I appreciate you, and send some happy blogger hopefuls your way! I love escaping to the beautiful little world of Alicia Paulson. Her blog depicts her day-to-day life of working in her home studio creating beautiul quilts, sweet crocheted projects, and lovely embroidered pieces. It's refreshing, soothing, and brings me back to the coast I miss so much. I found Jenny's blog through her Etsy shop. Oringinally, I simply fell in love with the sweet little shoes and baby things she creates, but now I love reading about her three beautiful children and her experiences as a first year homeschool mom. I discovered this little beauty a bit too late. 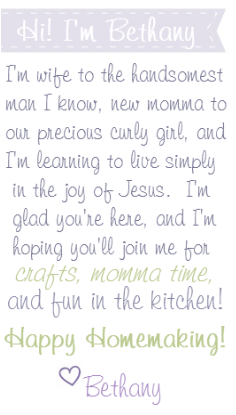 Disney, the gorgeous mom/pastor's wife/crafter of this blog is no longer regularly blogging. This blog is chockful of beautiful little ideas for sweet and dainty crafts, and even though new posts won't be showing up very often, you'll still get some wonderful ideas from what she has already written! Katie is a spunky young woman bringing Jesus' love to Africa. She is two months into her second year of teaching in Malawi, and always has interesting stories to tell. Her blog wll inspire you, remind you of how blessed we are with everything we have, and refresh you with God's Word. Bonnie is a sweet young wife and mother who delights in making beautiful little outfits for her adorable baby girl, Elora. I love picking up her money-saving techniques and filing them away for my own kids someday. Lori's blog makes me drool. The quilts that she designs and creates are a mystery to me--they don't seem humanly possible! Her attention to detail, her lovely applique, and the way that she brings stories to life through fabric makes me envious (in as christianly a way as possible!) See what I mean? Mollie's photos of her two beautiful children will bring a smile to your face. She's a young, energetic mom who delights in finding healthy recipes for her husband and kids, decorating her home, and sharing tips on happy, healthy, frugal living. l sorts of creative projects to sew, bake, or make. And who can resist her cute site? Heather is a gorgeous girl who is honest, down to earth, has a flair for fashion, and a heart for God. I love her picture posts, her frugal fashion tips, and entries that make my heart sing. Cassie has so many beautiful handmade things on her blog that I could be happy reading it for hours. I love her crocheted lace pillow cases, her cute handbags, sweet aprons, and adorable outfits. For those of you who don't know how to crochet, she has great tutorials to teach you! Jenn blogs from the heart. Her thoughts on daiy life, cute stories about her family, and pictures of their adventures are always fun to follow. There's no way I'm telling Pastor Ryan that I'm giving him the "One Lovely Blog" award, but I just wanted to mention him here so that you can check out his blog! Pastor Ryan's blog is not simply theological; he captures moments with his wife and two adorable little ones, shares step-by-step recipes, and the inspiring photos he takes. And now I have more blogs to add to my reader! Thank you for the mention,and thank you for sharing the other blogs as well, I added a few more to my reader and I look forward to reading some. Awww, thanks Bethany!!! I'm looking forward to sitting down and checking out all the other blogs just as soon as I get a chance! Haha! The part about Pastor Ryan made me laugh out loud! I love his blog, and I love your list! I can't wait to go through them! You are so sweet! Thanks Bethany! And congratulations on the job!